I reckon you should aware that this is the sequencing part of my Korea Trip. previously, i was talking about 2D1N in Busan. Click Me if you haven't come to it yet. 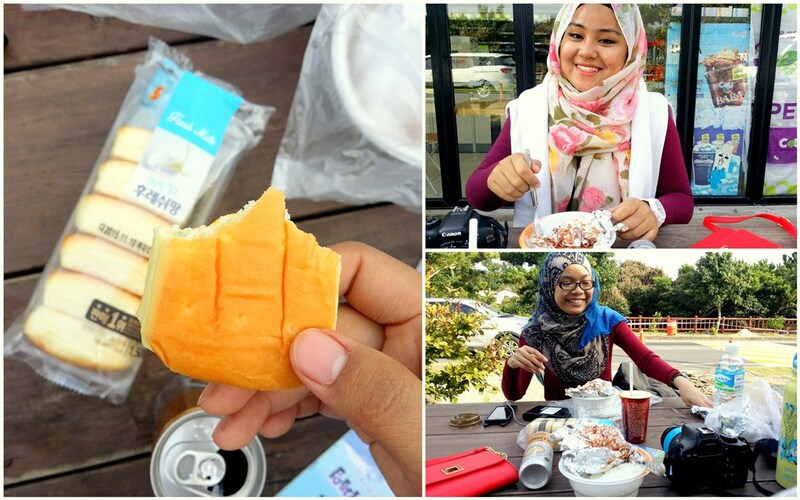 so, our 2nd destination is Jeju Island and we spent 4D3N in total. we arrived at Jeju International Airport at about 7pm local time from Gimhae Airport, Busan. So, the real thrill of exploring Jeju-do initiated on the next day! Please NOTED that all the mentioned attractions are located at the SEOGWIPO CITY whilst our home is in the Jeju-si or Jeju City. This 23m high waterfall is one of the 10 most scenic wonders in Jeju. undeniably, this is one of the famous attraction in Jeju as it is the ONLY waterfall in Asia that falls directly in the ocean. 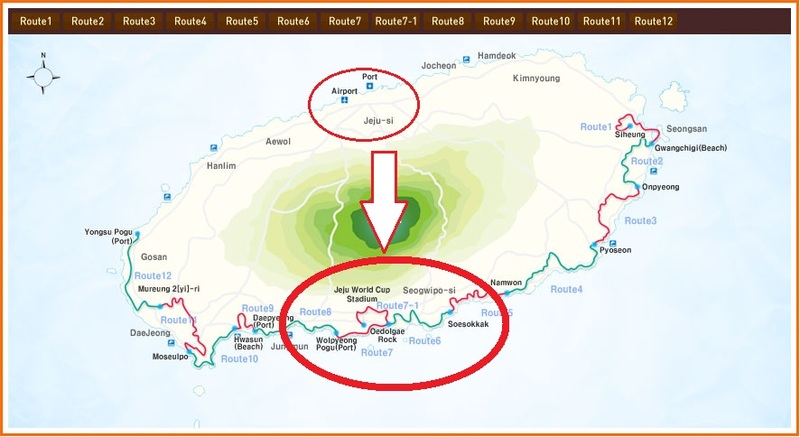 so, it is compulsory to be listed in your Jeju itinerary. serius macam painting, its a jaw dropping scenic view! I saw this place on KBS show long time ago. i was so mesmerize over the turquoise lagoon and to my surprise, the real picture is undeniably picturesque! it is not as big as i thought, it just a small slow flowing river in between the valley that meets the ocean. Opt 1 : as it is only like 30 minutes from Jeonbang Waterfall, we just ride a taxi! Duration? 1 hour and 30 minutes for the ride. perhaps, you can plan to have your lunch stop as there are cafes, convenient store and picnic tables in here. we packed our lunch that we cook at home beforehand, lauk sardin bak hang, nikmat! its quite tricky to find this ticket counter lol. situated at the same row of the shop on your right, if im not mistaken, its at the same area of the horse park? lol or just ask the local as we did. haha good luck! 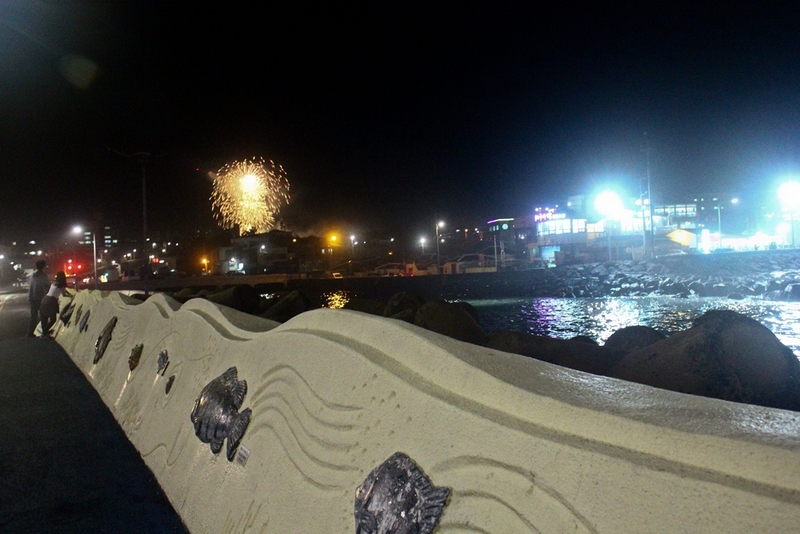 This attraction is listed as one of the Jeju landmark. The Jusangjeolli are stone pillars piled up along the coast and is a designated cultural monument of Jejudo Island. The Jusangjeolli was formed when the lava from Hallasan Mountain erupted into the sea of Jungmun. They are rock pillars shaped like cubes or hexagons of various sizes. its very unique! 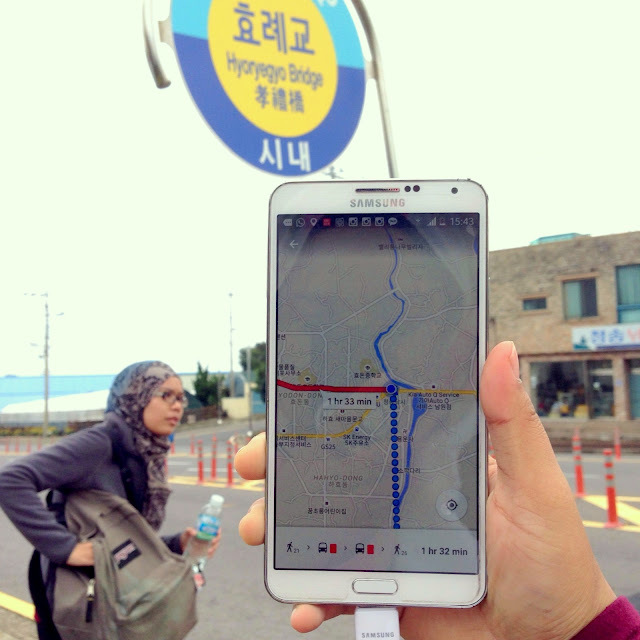 remember that we're coming from Seosokkak and Hyoryegyo Bridge bus station happened to be the nearest one, 20 minutes walk from Seosokkak estuary gate (totally based on Mr Google and Ms Google Maps!) ride on the bus No. 110 and you can rest the feets for that 1 hour and half! please be as surprised as us, the cliffs is behind that ICC Jeju building! lol so just find a way to reach the back yar because our bus stop here like lol again! Opt 1 : Based on our iti, get BUS No. 110 to reach Jusangjeolli entrance / ICC building. journey take 1 hour and half from Seosokkak. please properly arrange your journey as the gate closed at 6pm! Opt 2 : Take Airport Limousine Bus No. 600 and get off at International Convention Center (ICC Jeju) Bus Stop. journey take about 50 minutes from airport. 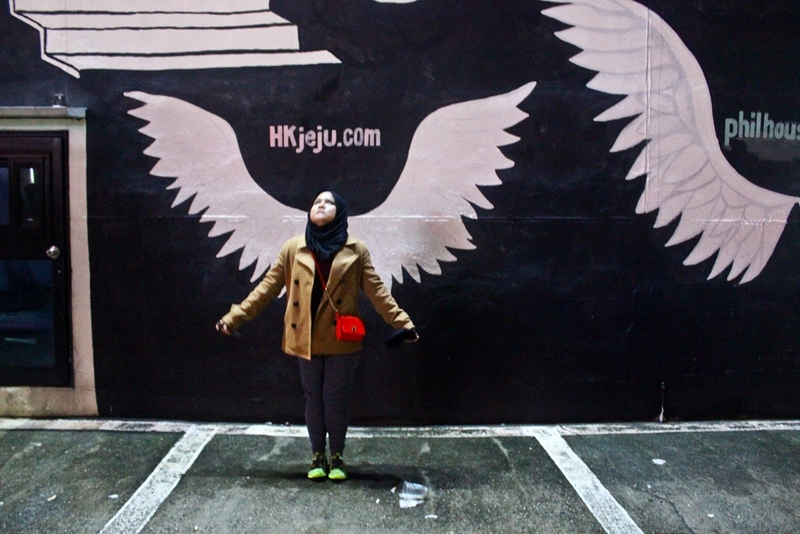 Opt 3 : haha just ask the taxi driver send you to Jusangjeolli Cliffs, habis cerita! Duration? 1 hour and 30 minutes. Again noted that it is Closed at 6pm! Suzaaaaiii, I'm so envy!! Maybe we should plan a journey to South Korea in the end of the year XD I really want to join your trip, take me wherever you go! scrolling down and up again~ still not satisfied with one glance of the photos!